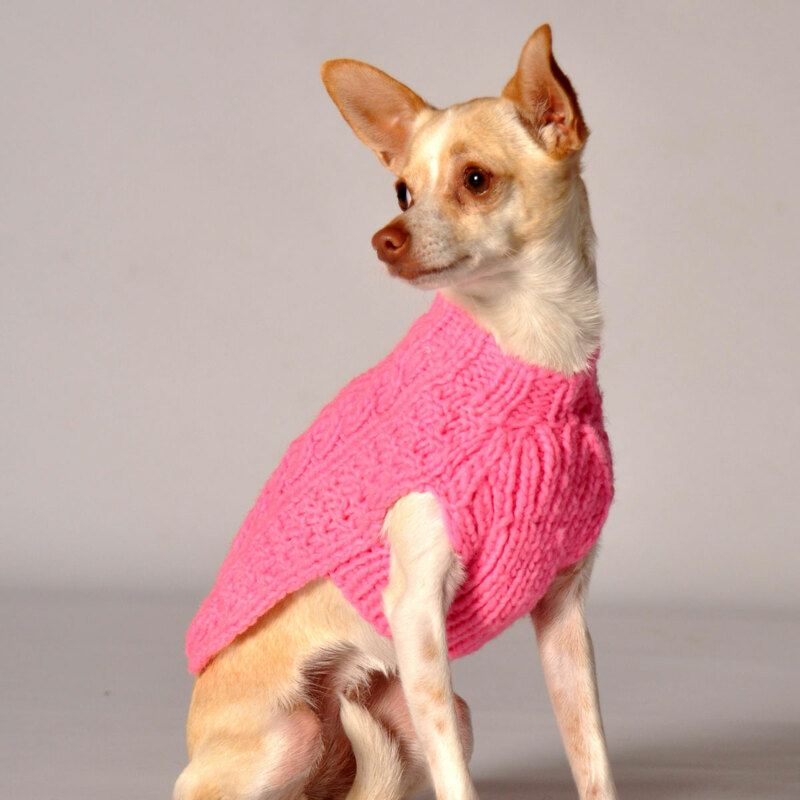 Winters can be tough on our delicate pups, so bundle them up in the Handmade Cable Knit Wool Dog Sweater! Sweater has a stylish knit design. Handmade wool dog sweaters from Chilly Dog are made with hand knit organic wool and all natural plant dyes, perfect for the Eco-conscious pet owner. This sweater is also made following the Fair Trade guidelines and is knitted by descendent's of the Inca Indians. Because every sweater is handmade, they may vary slightly in color and style. Pink and Pawsitively Picture Perfect! Posted On 01/05/18 by Mary D from Erie, , PA Yes, Mary D recommends this product! Years ago I bought this sweater for my lab in red and it has lasted through the years! I just purchased a pink sweater for Miss Daisy and when she wears it with her new orange collar and leash she is captivating, to say the least! I love that you can wash these sweaters and dry them (not all the way) and they retain their shape and size. I also love that we go out in the snow and she gets snowy and I can just throw it over the heat vent and it's dry in no time! These sweaters will always be on my "best purchases" lists! Posted On 11/19/16 by Lonni B from South Wellfleet, MA Yes, Lonni B recommends this product! The color is very very pink. Hard to believe it's a natural dye. Small fits my mixed breed 13 lb dog perfectly.